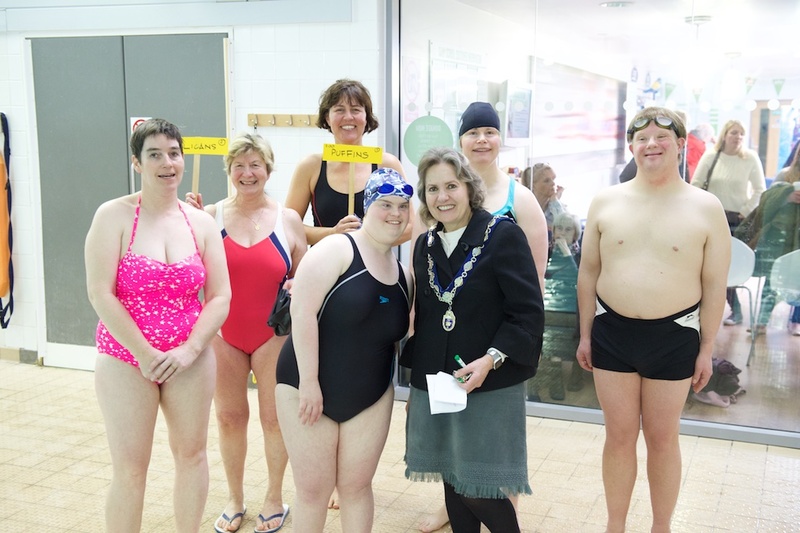 Over a 100 swimmers made a big splash of cash for the Chiltern Centre for Disabled Children’s Day to Remember on Saturday at Henley Leisure Centre. 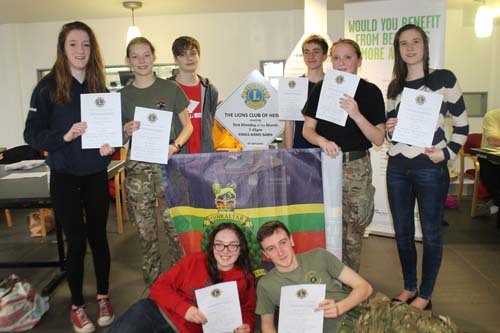 Teams entered from Trinity, Valley Road and Nettlebed Schools, Mencap, 1st Henley Guides, Sophie Bigness and her family, and for the first time 1st Henley Brownies, the Henley Sea Cadets and the Royal Marine Cadets. Sue Fitzsimons, teacher from Trinity School was presented with a new trophy for their continued support of this event by the Mayor, Councillor Lorraine Hillier. Every year the school always have the most swimmers and teams than any other group. Sue organises the participation in this event and encourages all the children to enter. 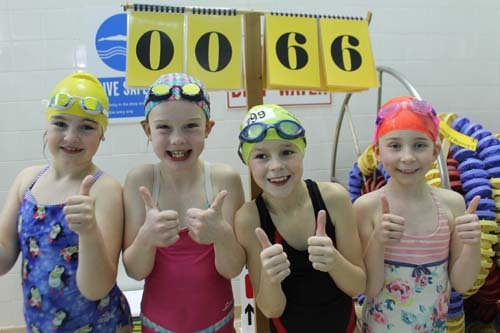 The top teams for number of lengths swam were Trinity Goofy Goldfish (97 lengths) followed by Henley Royal Marines Cadets (86), in 3rd place was 1st Henley Guides Penguins team who swam 84 lengths and 4th were Valley Road Sting Ray team with 82. At our March business meeting the club presented a cheque in the amount of £1,000 to the Footsteps organisation. Footsteps is located in Dorchester, Oxfordshire and aids children to become mobile. Most of Footsteps clients suffer from Multiple Dystrophy and can take years of intense therapy to learn to walk unaided. Maggie Davies accepted the cheque on behalf of Footsteps. The donated funds were raised through our Santa’s Grotto effort during the lead up to last Christmas.